“With your donation I am putting 2 village girls without fathers through 8 months of seamstress training in a good shop near our office. It includes paying for material that they will use and a down payment toward a treadle machine when they graduate. It’s a skill that they can use out of their homes in villages or they can join a shop in town. For a girl of 17 or 18 to have that much is a huge step toward sustainability for her and family. 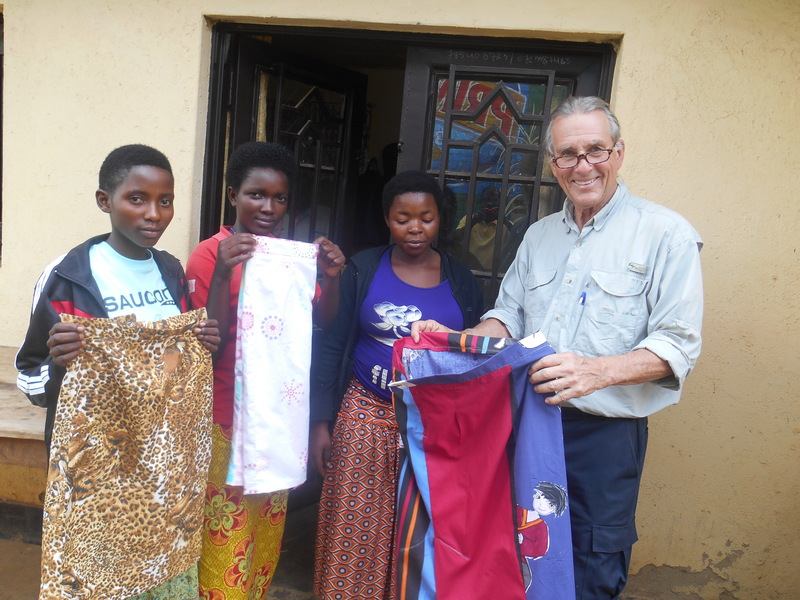 I include a photo of 3 girls whom we sponsored last budget, standing before their shop with samples of their work. Last year we graduated 22 kids from secondary boarding school and 7 from vocational: 2 from construction, 3 from baking, 4 from sewing.